How do you choose a beach resort in Portugal? The miles of coastline boast dramatic cliffside views, clear aqua water, and gentle waves. It’s a surfing paradise and sun worshippers dream with 300 days of sunshine a year. 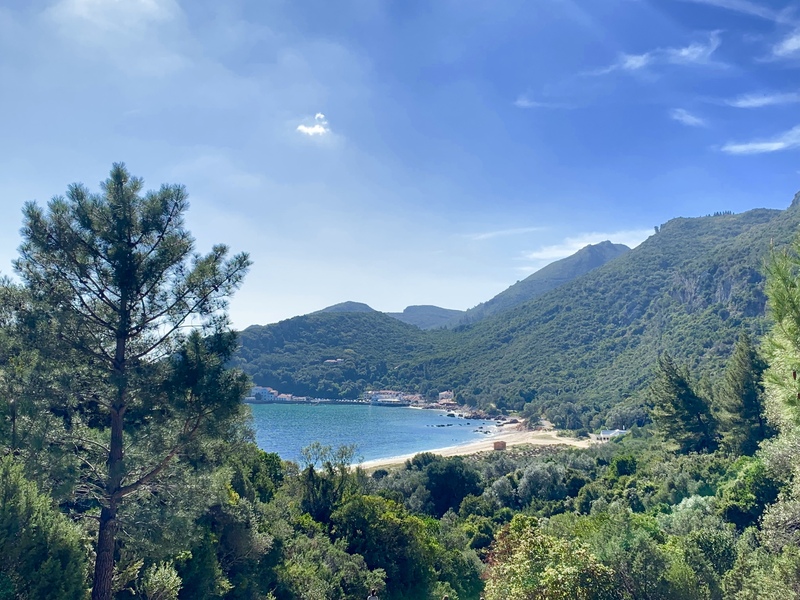 If you’re anything like me, you opt for a beach hotel that pulls at your heartstrings, focuses on sustainable travel, and has the eco-chic interiors to match the natural beauty around it. 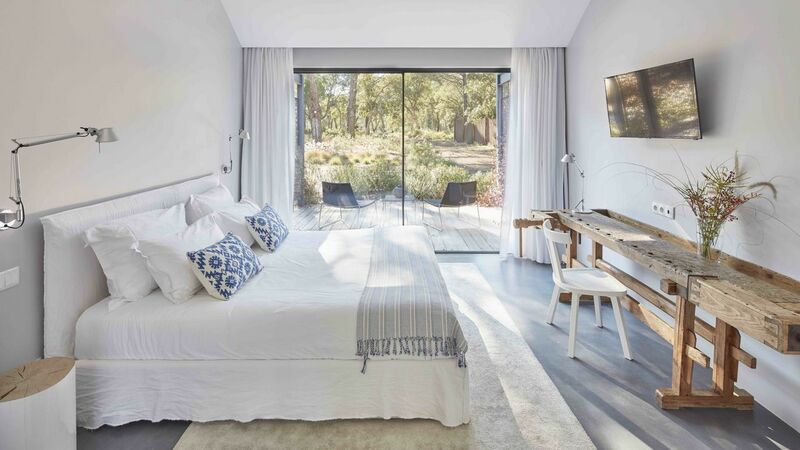 The aptly named Sublime Comporta has all this and more. 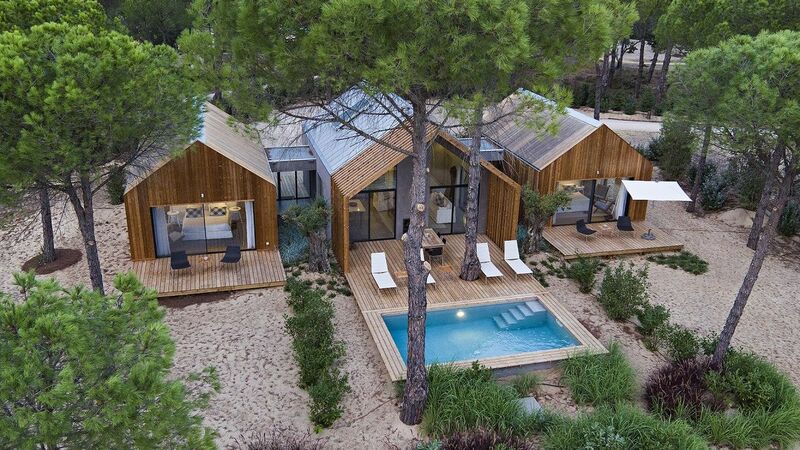 Sublime Comporta is located in Comporta, Portugal in the Alentejo region. The Alentejo is particularly special because of its flat landscape of bright green fields and towering cork and pine trees. The locals even call the tall pines “umbrellas” since they fan out broadly and provide shade during the hot and dry summer. The town of Comporta was once just a sleepy fishing village - even now, driving through, blink twice and you’ll miss the whole “downtown.” Surrounded by marshes and white sand beaches, the little village has surprisingly attracted a number of artists, celebrities, and royals. The casual laid back feeling is exactly why people choose to come here instead of the Algarve. 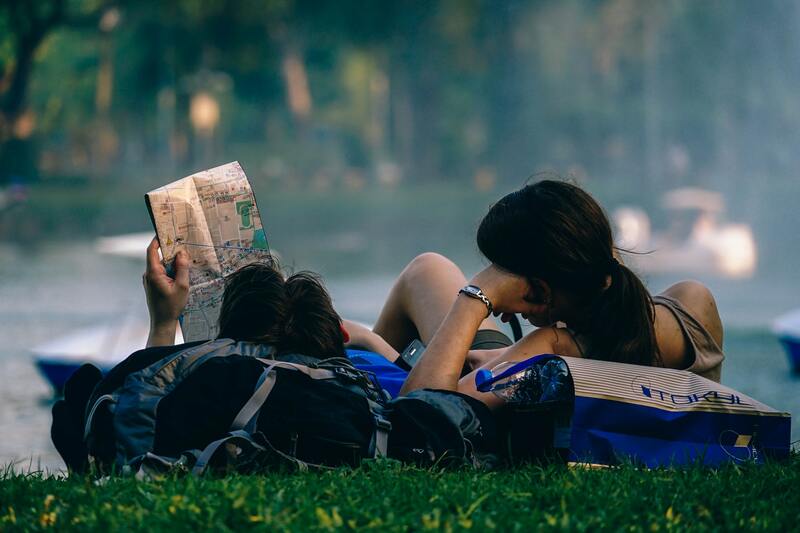 The best time to go is May through September and although it will never get too crowded, keep in mind that the summer months will attract more crowds and higher pricing. 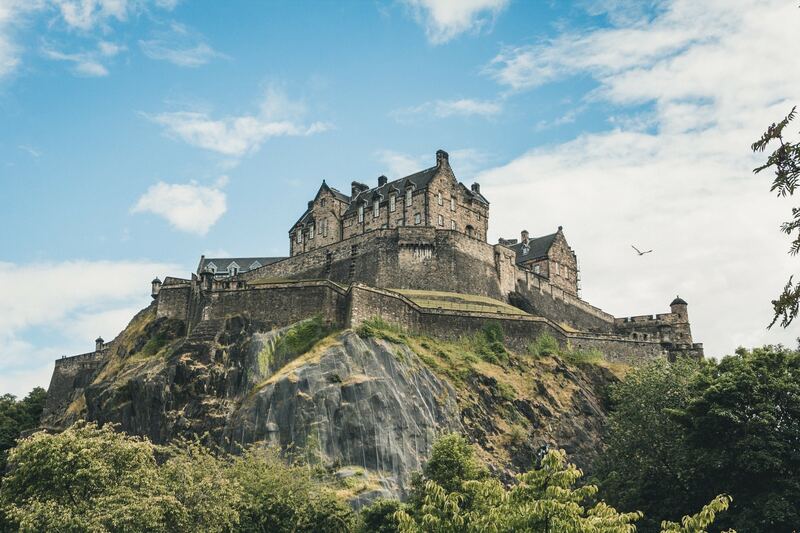 The weather in March can be gorgeous and you can certainly travel off season to save a few dollars. However, the shops were not fully open. When I peeked inside the shops, I saw kaftans and hats to match the boho crowd of Tulum or Miami. There were also eclectic furniture stores that looked like they could belong in New York with their version of elevated Portuguese pottery and textiles. The easiest way to get there is to drive. You can pick up an automatic rental car from the Lisbon Airport to avoid navigating the cobblestone streets of downtown Lisbon. While I had some confusion leaving the airport and following my gps through the numerous roundabouts, once you hit the highway, it’s a straight shot down the coast for about an hour. Tip: Portuguese drivers on the highway drive VERY fast. I still went 20km above the speed limit and was passed left and right. Be careful and remember that if you speed, you are at risk for any speeding tickets. The roads do have tolls so I recommend renting an electronic toll device with your car to make the process easier. They function the same as an EZ Pass. If you want to make a day out of it, don’t miss stopping in the Serra da Arrabida National Park. The roads are windy but the views are some of the most gorgeous with mountains on one side and turquoise ocean on the other. There are several beaches to choose from and some have parking lots. Others are more private but require a small hike down to the water. The cafes next to the beaches are overpriced and mostly served fried seafood. Bring a picnic so you can enjoy the scenic atmosphere and quality food. Luckily, Portugal has no shortage of fantastic cheeses and breads for this very reason! This park is truly a must see and you could easily spend a day there by organizing a hike or mountain biking.The natural turquoise beaches are not found anywhere else in Portugal. 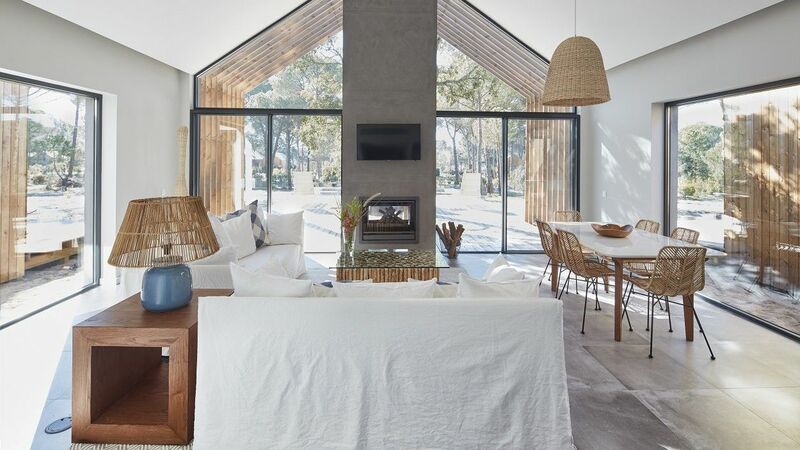 After your detour, you’ll drive through country roads and farms to get to Sublime Comporta. The entrance will feel nondescript and private so pay close attention. Once you enter the private gate, it’s a quick drive on sandy roads to the main building for check in. 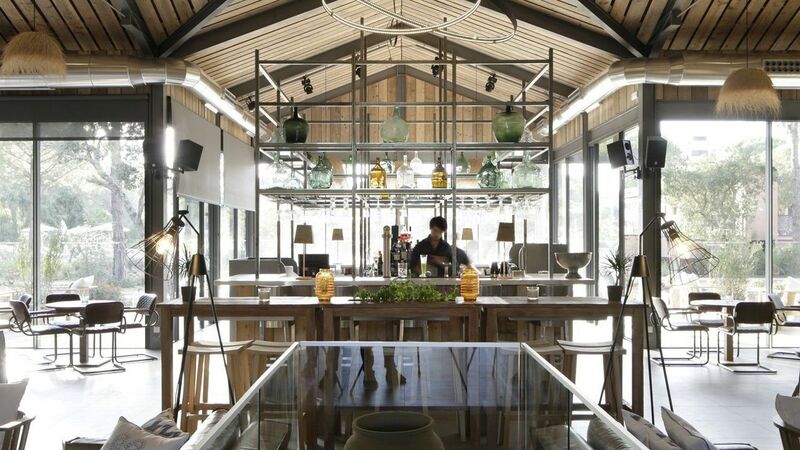 Pull your car up to the parking lot and step inside the main building of Sublime Comporta and you’ll find a cool, comfortable lobby full of leather and wooden accents. To pay homage to the region, the lobby design mimics the industrial feeling of a barn with high ceilings and woven straw lamps. In this building, there is also the main restaurant, Sem Porta, the bar, and the wine cellar. While the front desk agent takes your information, you’ll be treated to a fresh juice and an overview of all the nearby beach clubs and restaurants on a hand drawn map. When your room is ready, you can hop in a golf cart or park your car out front. The property itself is huge and spread out for maximum privacy and seclusion. It feels like an upscale version of summer camp with standalone “cabanas” and multi-bedroom villas. If you don’t feel like driving to the beach again, there is a sleek raised infinity pool with plenty of lounge chairs available. A kids play area is available with a small wading pool but the property really feels like it’s meant for young children under 5 or for older kids 10 and up. It’s hard to imagine active children enjoying the peaceful retreat and there aren’t any playgrounds or “kid friendly” spaces. There are 2 main restaurants on property. 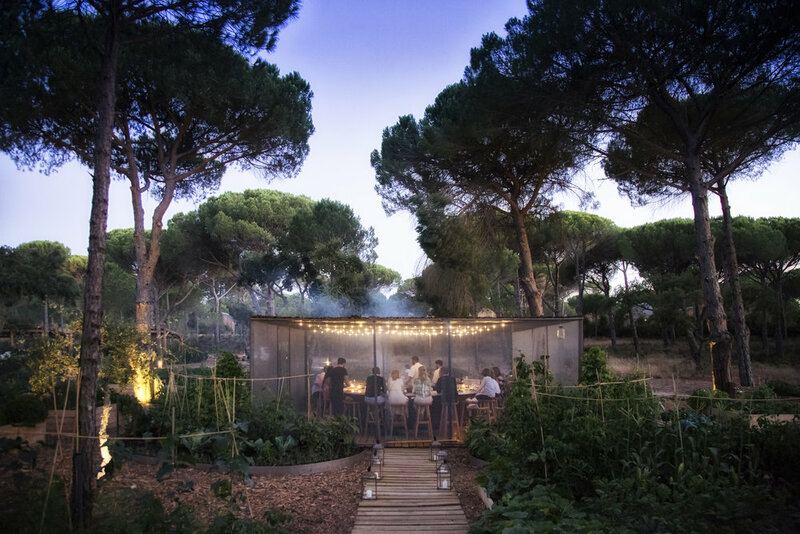 Sem Porta is in the main building and The Food Circle, which is beautifully located in an organic garden. The Food Circle is a unique concept where 12 people can enjoy a meal prepared by the chef right there at the counter. The ingredients are the absolute freshest since they come from the garden itself. Portuguese wine pairings are included with dinner. Be sure to book in advance to reserve your spot for this unique and special experience. Sem Porta is more casual and serves breakfast, lunch, and dinner. While I didn’t get a chance to try out the dinner or lunch menu, the breakfast was plentiful in the buffet style. It had such attention to detail that it even included edible flowers and freshly picked herbs. The spreads of cheeses, meats, breads, pastries, fruits, and fresh juices kept me going back for seconds, thirds, and even fourths. The highlight of the evening is the large fire pit terrace where guests gather to exchange stories and partake in crafted libations, contributing even more to that upscale summer camp feeling. The closest beaches are about a 10 or 15 minute drive away. I had lunch at Restaurante Sal and treated myself to appetizers, two glasses of crisp white wine, and a main course of fish with squid ink rice. I thought of this as my “splurge” meal on the beach but it still came to just $30 USD. I loved watching the waves from the patio. In the summer, I can imagine how busy it gets so ask the team at Sublime to make a reservation for you. You really can’t go wrong with the rooms here. They’re all outfitted in gorgeous white linens and gauzy curtains to immediately make you feel like you’re at the beach. Apart from the main building, there is another Guest House building where the guest suite categories are located. The guest suites are 2 level with the bathroom upstairs and a small sitting room downstairs - perfect for a family of 3 with a small infant. If you’d like your own individual suite, I’d highly recommend the Cabana Suite. The living room is a perfect blend of breezy Mediterranean style, including it’s very own cork tree on the back porch, and the kitchenette is perfect for families who want to make their stay more comfortable. The living room can be used as an extra room for kids or another bedroom can be added with a connecting hallway. I was there off season in 2019 and they were in the process of adding individual cabins with docks over a man-made natural pond. What a fun experience to dive off your balcony into the water! I can’t wait to see what these look like when they’re finished and I imagine they’d be great for couples and families alike. Apart from visiting downtown Comporta, there are several beaches to explore a short 10-15 minute drive away. If you can tear yourself away from the beaches (although I’m not sure why you would! ), there are Roman ruins to visit or nature watching experiences. But likely, the main attraction is just doing nothing on the beach. For a fun twist, you can arrange horseback riding one day. The only part of the property I wasn’t enchanted with is the spa. It’s in the first original building of the hotel and it still doesn’t feel like a proper spa. It’s lacking the privacy and quiet that most spas have, even if it has a lovely relaxation room that overlooks the pools. The treatment rooms are small but I did like that they had a nice indoor pool, sauna, and fitness equipment. If you aren’t a spa snob like myself, you’ll be happy with the basic setup. The best way to book is with a Virtuoso travel advisor like myself. Not only can I advise you which cabana suite or villa is best but I can also add special complimentary amenities not available to other agencies.  My clients will receive a complimentary room upgrade on arrival, complimentary breakfast for 2 in the restaurant, a $100 spa credit, early check in / late check out, and a special customized welcome amenity of champagne and a sweet treat. Rates start at about $300 USD per night. 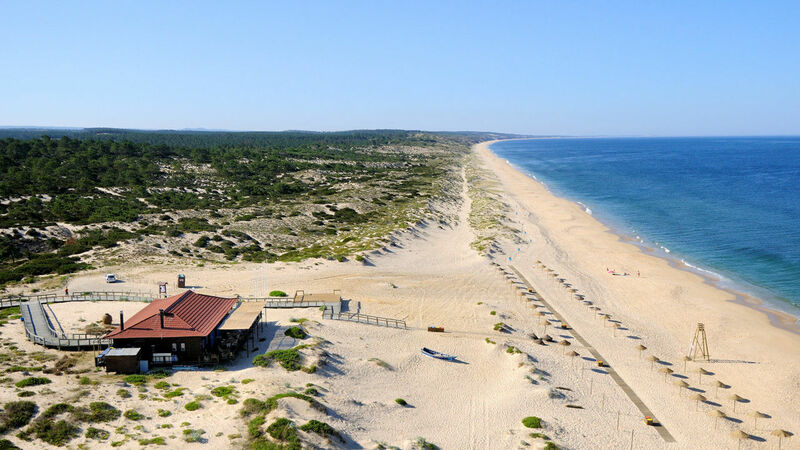 Comporta is a destination in itself but first time travelers to Portugal will want to combine it with other cities and sightseeing. Check out my 2 week guide to Portugal for a perfectly designed trip! 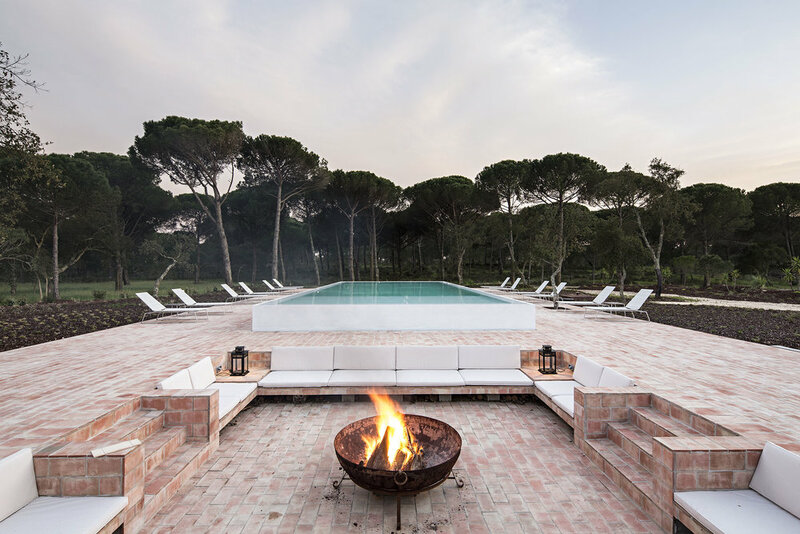 Thanks to Sublime Comporta and Querido Representation for hosting me on this fabulous one night stay! Get in touch today to start your beautiful journey through Portugal.